In the Chemical Process Industry every type of the C-series (NiCrMo Alloys) is used. These materials are being replaced by higher alloyed types such as Alloy 22 or Alloy 59. 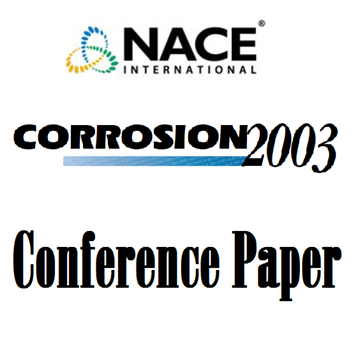 This paper will examine the behaviour of the welding consumables FM 22 and FM 59, together with the base material combinations of the second series, which are used in the Process Industry. In the Chemical Process Industry every type of the C-series (NiCrMo Alloys) is used, for example as pipes and vessels. Because of the continuously increasing corrosion resistance requirements, these materials are being replaced by higher alloyed types such as Alloy 22 or Alloy 59. This paper will examine the behaviour of the welding consumables FM 22 and FM 59, together with the base material combinations of the second series, which are used in the Process Industry. The available corrosion results prove an excellent resistance of FM 59 together with the examined base material combinations. In the Processing Industry only one weld filler metal would be needed in order to weld all base metals of the C-series, special steels and their combinations with sufficient corrosion resistance. Sulfuric acid is one of the most important elementary substances of the chemical industry. There is no stainless steel or even a nickel base alloy available which is suitable over the entire concentration range. 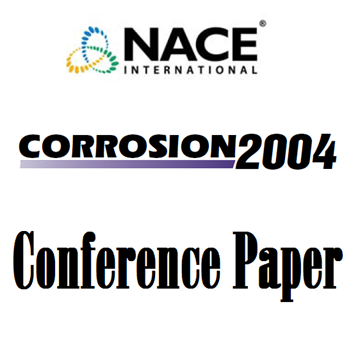 This paper will give corrosion data in up to 75 % sulfuric acid at boiling temperature for various commercial grades as well as for some new developmental alloys. In context of acceptability of 17-4 PH in sour service, an literature survey of complex metallurgy of this grade was done following a mechanical rupture in service. In addition, three 17-4 PH materials were studied in terms of microstructure, mechanical properties and susceptibility to sulfide stress cracking. The approach to the commissioning of a heat-recovery steam generator in the industry has varied from project to project. One school of thought contends that no chemical cleaning (or minimal) is required. The second school of thought contends that a complete chemical cleaning is required. This report discusses these differences, and a properly designed and well executed cleaning with desired results.